Running a one-night game of Beast: The Primordial? Wanting to start up a new chronicle, but your players aren’t sure what to play? Looking for a fast way to dive into one of Onyx Path’s SAS adventures? 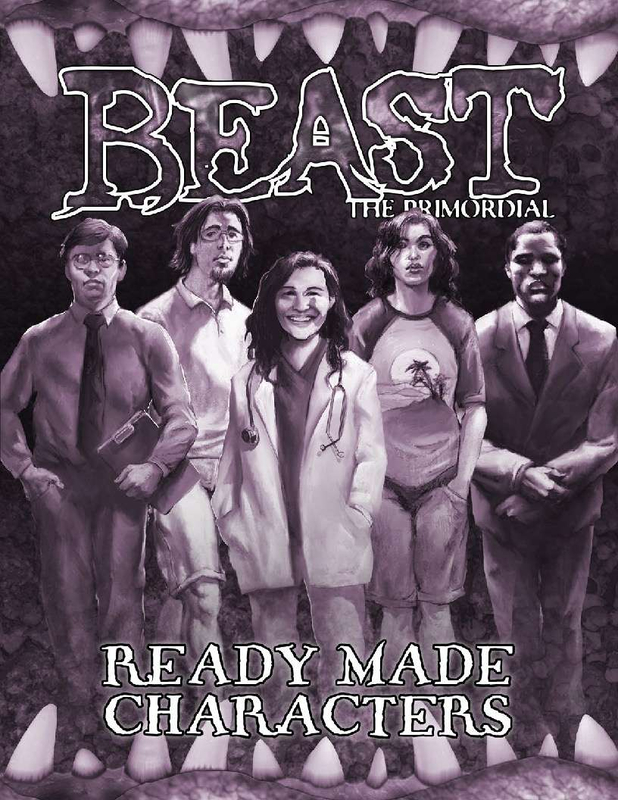 Beast: The Primordial Ready Made Characters details "The Bloodstained Brood," a group of Beasts (and one changeling) that have come together and, in their own brutal way, formed a family. Six pre-generated player characters, with both starting and experienced character sheets. A brief break-down the character’s history to help players jump into the group. Storyteller advice for the group. This title was added to our catalog on December 14, 2016.